What Is The History Thermal Printers? | MIDCOM Data Technologies, Inc. Here is a brief history of thermal printers as they exist today! 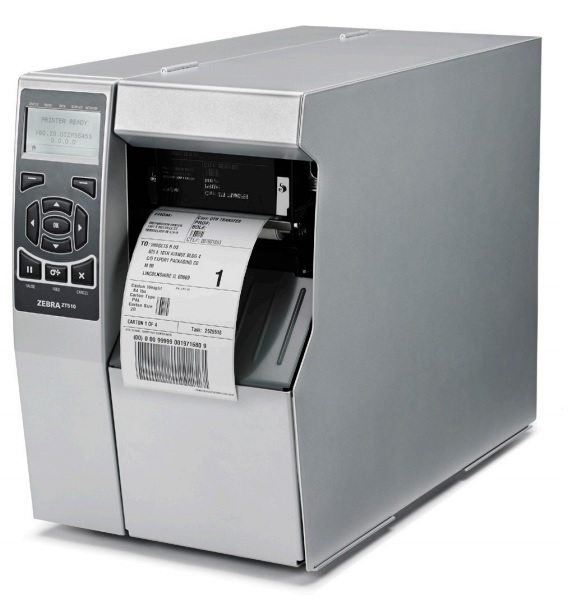 A thermal printer or for that matter, an electrothermal printer is a type of printer that basically uses heated pins to in effect “burn” images onto several different types of heat sensitive paper. These printers are generally used in electronic calculators (such as Canon’s pocketronic; the world’s very first electronic, IC utilizing pocket sized calculating machine) and fax machines. The world’s first semi-conductor based thermal printer was invented by noble prize laurate Jack Kilby, in 1965. While a thermal printer is pretty inexpensive and is also capable of really fast prints, but nonetheless, resulting copies are pretty low resolution print jobs that are ideal for the tasks for which they have been produced. Such thermal printers, or thermal wax-transfer printers and even thermal transfer printers, generally use thermal wax ribbon so as to melt colored wax on thermal paper for a photo print. o The Spring – This component applies the necessary pressure to the thermal head. This in turn causes it to contact the temperature sensitive paper and thereby enables the head to actually print on the paper itself. In order to undertake the print job, the temperature sensitive paper is basically inserted in between the thermal head and the platen or rubber roller. Here, the thermal printer sends an electric current surging towards the prime heating elements that form part of the thermal head, in order to generate the required heat. 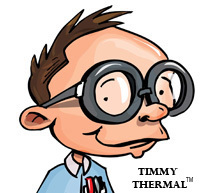 The heat then activates the thermo-sensitive coloring layer of the heat sensitive paper and this enables it to change color wherever it comes into contact with the heating element. These heating elements are generally arranged in a line of otherwise very small but closely packed dots. o Thermal Paper – Thermal paper is used in thermal printers and it is a especially fine print spec paper that has been coated with a particular material that has been specifically formulated to change color whenever it is exposed to a certain amount of heat. As a general rule, such thermal paper is typically used in their own thermal printers as well as in lightweight and inexpensive devices such as cash registers, adding machines, as well as credit card terminals. The rise of thermal printers has been of great benefit to the retail sector since they have taken over almost completely from dot-matrix printers, and indeed their use has eclipsed many other different types of commercial printers available today. For more information on thermal printers or all your labeling and barcode scanning needs, call us at (800) 643-2664 and immediately talk to one of our friendly representatives; or chat us up on Facebook, Twitter, Google+ and LinkedIn! 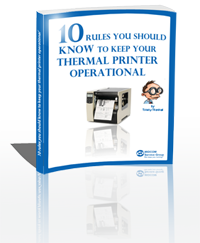 Keep your thermal printers running! Download our FREE eBook Now.